Travel is in my blood: I was born into it. From my time in my mother’s womb, I was on the road more than six months of each year. I guess I was “homeschooled,” except in the 1970s, no one really called it that. My mom just was a teacher and taught me to read. If you have ever visited my my blog at Word Traveling, read an article, or heard me speak, you’ll know that inspiring, helping and guiding you to get out and GO is my passion. Jesus said,”Go!“ He was the original journeyman. The reality is, travel comes with a cost. In order to fulfill our desires and dreams of travel, we must delight ourselves in the Lord so He can give us those desires of our hearts, and adapt our lifestyle to choose to accommodate these dreams. 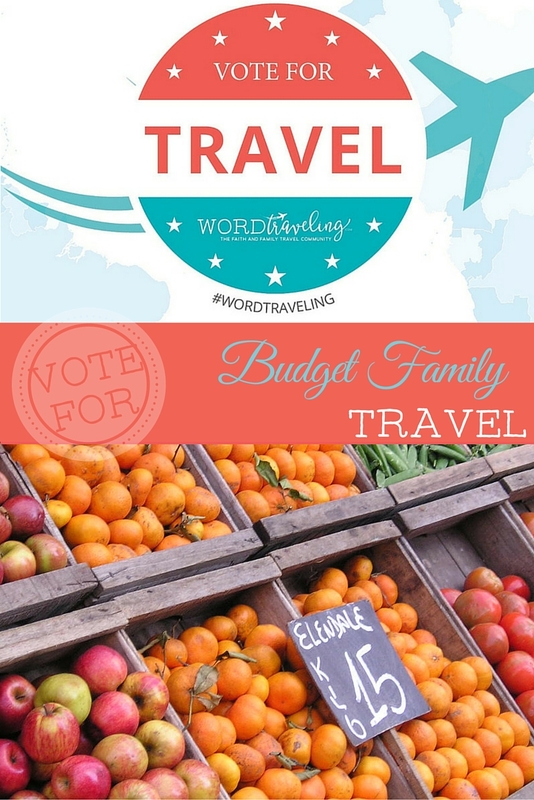 During this month’s Vote For Travel series on Word Traveling, you will find other moms sharing family travel tips, stories and tricks to inspire you to get those passports in order and the suitcases packed, ready to GO into all the world! In 2004, my husband and I sold everything we owned and headed for a year-long adventure in Europe with a baby in tow. When all our plans failed, we met Jesus on that journey and came home with a mound of debt. Before we discovered Dave Ramsey’s Financial Peace University and later became facilitators, we traveled. Plenty. In 2010, my husband was awarded an “all expenses” paid trip to Italy as manager of the year at his company. At the time we “won” this trip, we already carried a whopping $100,000 in consumer and personal debt, much of which had been accumulated through traveling in 2004. We realized something MAJOR in our lives had to change after adding nearly $7,000 of our own expenses to that “all expenses” paid trip and our already weighty debt. We enrolled in Financial Peace University, at the closest location (nearly an hour away) and began our intensely focused, hustling journey to becoming debt free. Today, after three years, a giant outpouring of the Lord’s favor, learning to see things differently, countless coupons (with many money-saving strategies learned right here at Meet Penny) and saying “no” to our children and our wants, by the grace of God and our self-discipline, we’re debt free! Full disclosure – we still carry a business credit card that we pay off and gather mileage points to travel from and have a relatively small mortgage, working on a five-year payoff plan for that. While our journey to becoming debt free did come with saying “no” to many things, travel was not one of them. Travel is good for the soul. 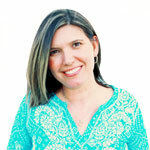 It’s a part of who we are, and even Dave Ramsey himself says to budget for some FUN! Our travel did not change altogether, but our approach to travel (and life) completely changed. We made sure we didn’t bring the debt from an adventure home. I hope this post helps you see things differently and be able to GO! 1) Make Your Vacation Fund Part of Your Monthly Budget. Decide together how much you can sacrifice in other things, including memberships, extra-curricular activities, dining out, subscriptions, and even newer cars to be able to afford the big things like travel. 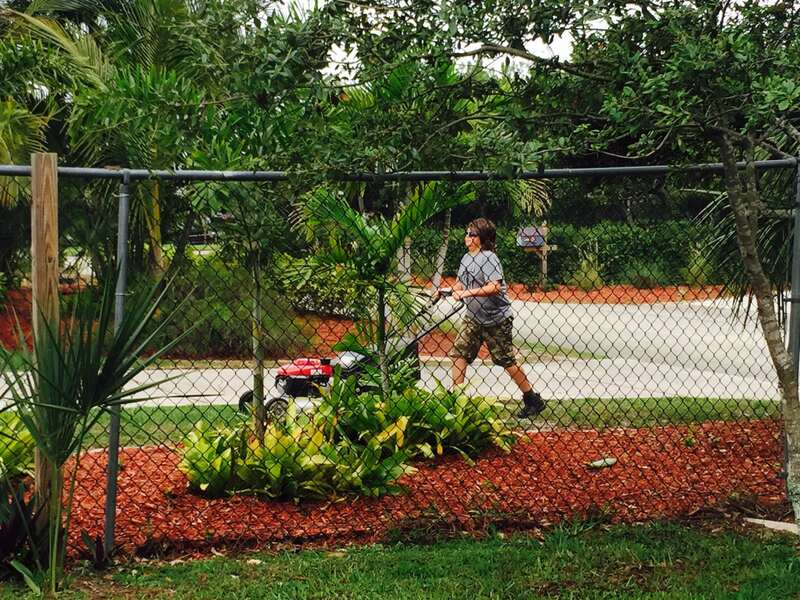 For our family, making memories on the road are a priority, part of our legacy. Truly, cutting the $100 per month cable bill and even gourmet coffee and curriculum habit can lead to the best investment in your family you can ever make. 2) Save Money on Your Food Budget. Our family of four saves big by cooking together when we travel by renting vacation homes or grabbing a deal on a hotel with a kitchen. Breakfast in your room can save over $50 a day. Even just one dinner in during a week out will add up. We love to visit local farmer’s markets and then unwind when preparing a meal or enjoying a rotisserie chicken and loaf of bread picnic together as we continue to build our family team. Pack your own snacks. Order water. Stop at the grocery store for a snacks like a bunch of bananas or bag of apples. A case of water is the same price as just one at the gas station. 3) Pick a Realistic Getaway Destination for Your Budget. Italy may be your dream trip, but Italy at Epcot or The Venetian Hotel may be more realistic for your budget for now. Take small weekend trips or road trips. Keep dreaming along the way, and when you are debt free with a savings reserve, set aside bigger dollars toward dream travel. 4) Involve the Children in Travel. Have you considered just how impactful travel can be on your children’s education? Our boys get excited about helping budget for our travels. 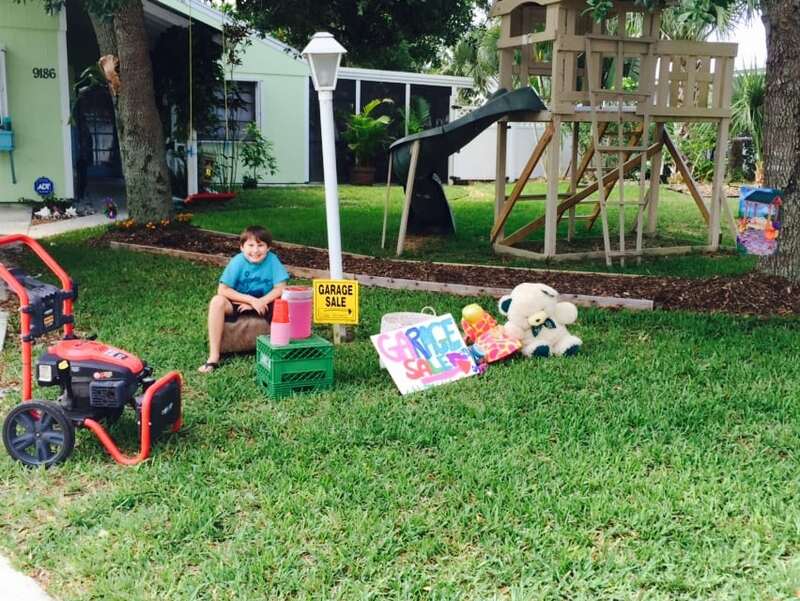 Our youngest son will host his own yard sale and save his commissions, and our oldest son started mowing lawns but now owns an online business selling speed cubes and hosting events, while he also gives back to children in need. 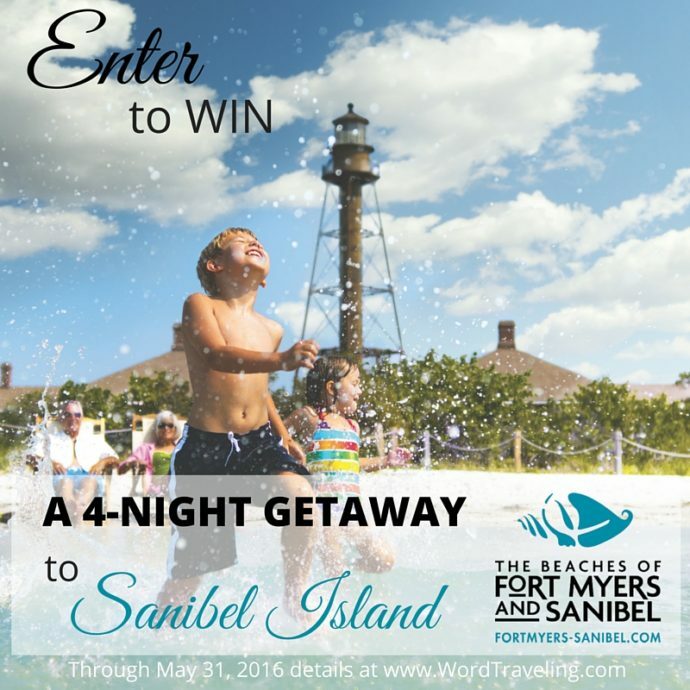 Who knows, you may win a trip in our annual giveaway to the awesome Beaches of Ft. Myers/ Sanibel. For our Hawaii trip last year, we talked about how much they’d want to spend per day = $10. Times 14 days = $140. Even our seven-year-old set this goal. They feel a huge sense of accomplishment by contributing, and we’ve taught them the value of hard work during the process. Our favorite family memories are the ones we collect in our minds and in our postcard and photo album. Everywhere we travel, we buy a postcard, have everyone sign it, and mail it home from each stop along our trip. We have a priceless album, our postcard journal, filled with memories we collected along the way without breaking our budgets. I was inspired to create awesome free printable postcards for you after one of my favorite collections. You’ll get them free when register for our travel giveaway! That may be a strange concept to us here in America, but in Europe and other parts of the world, it’s second nature. Europeans don’t “vacate” their lives by taking a vacation, they set time aside and holiday. It’s a verb, not a noun, the act of holiday-ing. Have you considered missions trips? How about giving back while you travel? Live every day as a “vacation” by setting aside time to enjoy your days, moments, lives – family. Then, you will be less likely to need to vacate your life. Once you’re away, whether three days or three weeks, unplug. Set the time aside as holy. Travel is good for your health: both physical and spiritual. Travel Resources You May Not Know About. For the super adventurous, you can save a ton of money, and even earn an income by working or teaching English while you travel. Visit WorkAway.COM to see opportunities for room and board in some incredible destinations around the world, even for families, and sometimes get paid once you’re there, in exchange for working different jobs from nannying to building or shop-keeping and even scuba instructing! I’ve heard of a family that lives in New Zealand every summer while they run a small surf hostel. Another site to discover opportunities abroad in exchange for room and board is WWOOF.com. Here, you will be working on organic farms. Tilling the land and shaving costs from your pocketbook. Good idea! Visit ESLCafe.com for job postings to teach conversational English in places all over the globe. Salary varies by your education and the location, but the opportunities are out there! One of my favorite ways to save on travel is to ask a friend. Can you house swap? Do you know someone who works for a hotel that can help you with a friends and family rate? What other ways can you think of to get creative and travel? Tax refunds? Annual bonus? Sell something? Regardless of how or where you go, I hope this post inspires you to make travel a priority for your family and your life. Keep me posted on your adventures, and good luck entering for your chance to win! Find ways to live like a traveler in your own backyard by connecting with your local tourism office to discover the best-hidden gems. Stop on by the Vote for Travel series. We’ve got plenty of other resources to guide you. Do you have any other tips for affordable family travel? Love staying up-to-date with what is close by when on the go? Check out the best travel apps for families. Have less mess in the car during meals when traveling. Yes, it is possible! Get travel activities for kids to keep them busy while on the road. Busy hands can mean quiet mouths… and if you have a ton of kids like we do, you know why that is important. Looking for somewhere new to go? Browse this list of family-friendly US travel destinations. These are great tips! My husband and I have also walked the road of a debt-filled life and have realized that freedom that comes from paying off that debt. A vacation that is paid for is so much more fulfilling than one that’s not. I totally agree! I can remember being on vacation, totally maxed out, and the air conditioner went out of our van. Have you ever had a beach vacation with no A/C? Looking in the rearview mirror at my kids’ miserable, red, sweaty faces is not something I will ever forget. Never again! Red faces, no more, Tabitha! I can imagine…. praise God for provision and our diligence and hard work in Him to get OUT of debt and the houses!